often as you want - just don't let the timer run out. This game is really fun! I love it! 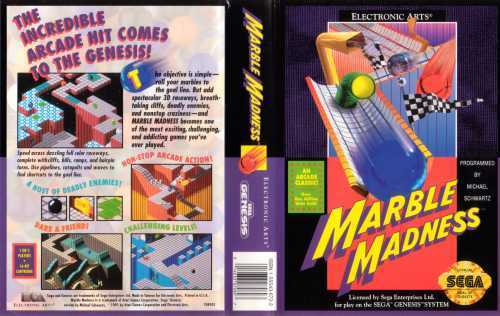 Rolling a marble around different 3d courses is a perfect concept, and when playing two players it is even more fun! This is one of those games you need to try. Otherwise it seems like a cheezy idea. But past the idea is a hell of a lot of fun! This game has really really good graphics and it's a good idea for a game, but it's too short. You'll be able to beat it pretty quickly. I haven't tried 2 player though. 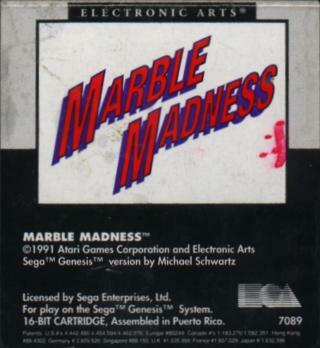 This game is a highly playable classic. You just need the rollerball and you could be back in the arcade when it came oot. This game is ace, the battle against the clock can get a bit hairy at times. Only moderately rare this one, due I imagine to the fact that it was so popular in its day. 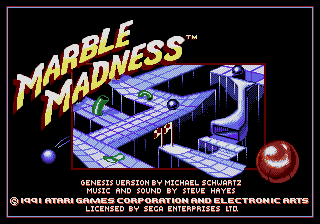 This by far, the best home conversion of marble madness. I love it to death! 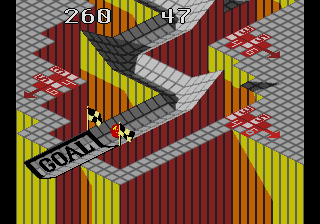 But alas, it's only 6 levels long. Play it alone or play it with a friend! Tis another game that needs a sequel! Badly! I give it a 9.